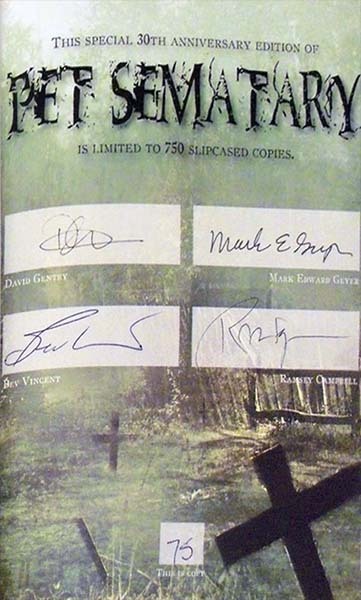 One of the first "anniversary" editions announced by a publisher. I expect more of these to follow, in fact Cemetery Dance announced their own (more elaborate) anniversary editions of the early Doubleday books on April 7th 2014. For the PS Publishing releases it may help to think of these as essentially unsigned artist editions. Although rather basic in design the small print run may help the long term value on the secondary market.